A lawyer for anti-secrecy group WikiLeaks founder Julian Assange warned Friday that an apparent U.S. indictment against him poses a grave threat to press freedom both inside the United States and internationally. 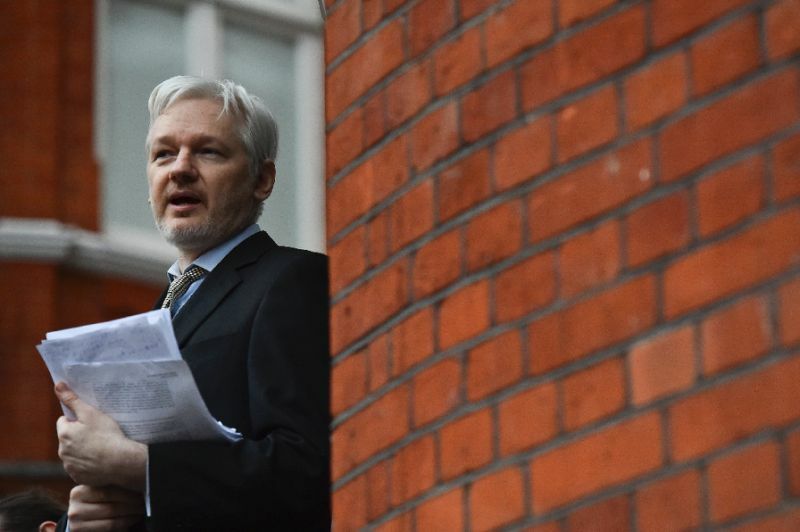 The possible indictment suggested that Washington will seek Assange’s extradition if he leaves Ecuador’s embassy in London, where he took refuge in 2012 over fears he could be prosecuted for WikiLeaks’s previous revelations of U.S. national security secrets. “A criminal investigation into WikiLeaks sets a dangerous precedent for all the media… Everyone ought to be concerned about what this potential indictment means,” lawyer Jennifer Robinson told the Democracy Now news program. Robinson spoke after U.S. prosecutors inadvertently disclosed the existence of a sealed indictment in a court filing in an unrelated case. It appeared to confirm that Assange, 47, could be charged in relation to his publishing of stolen Democratic Party materials during the 2016 U.S. presidential election. Assange's attorney says it is highly "irresponsible…to put in a public filing information that clearly was not intended for the public and without any notice"
The U.S. has placed heavy pressure on Ecuador to expel Assange from the embassy so that he can be arrested. The U.S. Justice Department would not confirm the revelation, first brought to light Thursday by Seamus Hughes, a terrorism researcher at George Washington University who regularly combs through court records. The filing was discovered as The Wall Street Journal reported that U.S. prosecutors have been preparing to prosecute Assange and are optimistic they can get him to a U.S. courtroom, citing growing unhappiness in Ecuador over his presence in the London embassy. Washington has targeted WikiLeaks since it published 251,000 classified cables from US embassies around the world in 2010, which embarrassed Washington and caused ructions in its bilateral relations with other countries. That action was taken in coordination with major international news organizations, including The New York Times, Le Monde, Der Spiegel, and The Guardian. But since WikiLeaks published Democratic files in 2016 that U.S. intelligence says it received from Russians, Washington has rejected Assange’s assertion that the group is involved in journalism. “It is time to call out WikiLeaks for what it really is –- a non-state hostile intelligence service often abetted by state actors like Russia,” Mike Pompeo, then the director of the CIA and now U.S. Secretary of State, said in April 2017. The apparent sealed indictment of Assange appears connected to the investigation by Special Counsel Robert Mueller into Russian interference and collusion in the 2016 election. Rights groups warned, however, that prosecuting Assange for publishing materials dubbed secret or stolen would threaten all media. “Any prosecution of Mr. Assange for WikiLeaks’s publishing operations would be unprecedented and unconstitutional, and would open the door to criminal investigations of other news organizations,” said Ben Wizner of the American Civil Liberties Union. “Moreover, prosecuting a foreign publisher for violating U.S. secrecy laws would set an especially dangerous precedent for U.S. journalists, who routinely violate foreign secrecy laws to deliver information vital to the public’s interest,” said Wizner.